A cooker hood, even though it may not seem so, is a very important household appliance. Someone choose it as a distinctive feature of their kitchen, while others hide the whole apparatus in the upper cabinet instead. 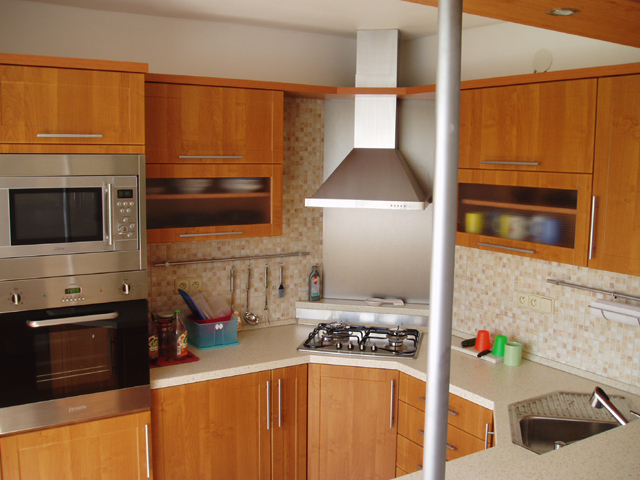 Cooker/fume hoods are used in the kitchens to exhaust fumes and odours caused by cooking. The types include the suspended hood, built-in hood, fireplace hood, chimney hood to the wall or chimney hood into the interior (i.e. islet hood). In this case, the term “chimney” does not mean that the hood must be connected to a chimney, but rather that looks like a chimney. The suspended (overhead) hood is mounted directly below the upper cabinet, the built-in (recessed) hood is built in the cabinet and the chimney hood is inserted between the upper cabinets. Cooker hoods are manufactured in various colours, black and white are the most often, as well as of various materials, such as aluminium and stainless steel. At present, the hoods made of combination of stainless steel and glass are undoubtedly prevailing. It is also possible to have the whole hood, or its part, sprayed with paint from the RAL colour range. The width of the hood should correspond to the width of the cook top and it should not be narrower, but it is possible and appropriate that the hood is wider than the cook top. Most frequently, a hood 60 or 90 cm wide is used. 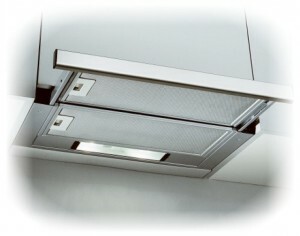 The most important parameter of a cooker hood is the suction power. This should correspond to ten times the volume of the room, but if you get a fume hood with a more significant reserve, it will sufficiently extract even at lower power levels and it will be quieter. The exhaust air should be conducted out of the room and of the building, so the hood can be connected to a chimney (be careful not to connect it to the chimney from a boiler or a fireplace! ), or the exhaust can be diverted through the wall out. There is a wide range of special accessories on the market, that allow conducting fumes almost invisibly out to a flue outlet located a few meters away. If there is not the option to divert the vapour out, it is also possible to put an activated carbon filter into the fume hood using recirculation. The filter must be replaced every 6 months. The re-circulating hood has a slightly lower output and increased noise. Each cooker hood is equipped with a grease filter, which is used to capture grease from the fumes. A metal filter that can be cleaned in a dishwasher is a better choice than a fabric filter that cannot be washed and must be replaced regularly. The built-in light is a matter of course. When choosing a fume hood, it is good to get some advice from an expert. However, you have to pick up the design yourself according to your own taste. Fortunately, manufacturers keep this in mind and offer you various, often somewhat extravagant, design types. 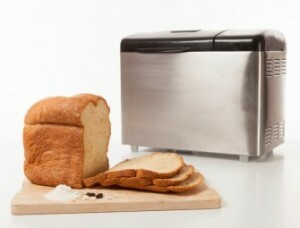 The biggest fashion of bread makers is gone, it however does not mean that their utility value has dropped. The option to make your own bread at home, according to your taste and your needs, is still welcome by many families. Imagine the smell of freshly baked bread that embraces you in the morning when you enter the kitchen. And it may be every day – you do not have to get up early and to go to the nearest bakery. 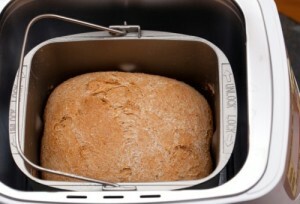 You can enjoy this pleasure with the help of an ordinary household appliance – the bread maker. Bread is a staple food for humans for centuries already, and the process of its production has not changed much during the time. In this respect, the bread makers represent a certain revolution, how to obtain a sweet-smelling soft loaf of bread, without much effort baking skill or mess, at home and in about 2 hours. No wonder that their global sales are increasing every year. However, the bread makers first appeared on the market in Japan in 1986, and 10 years later, consumers in Britain and in the United States began to buy the machines. The offer on bread machines is really wide. How to choose the right one, then? Search on the Internet, compare the parameters as well as the prices. You can find interesting discussions there with people who already have experience with bread machines; their insights can be interesting and valuable guide for you. 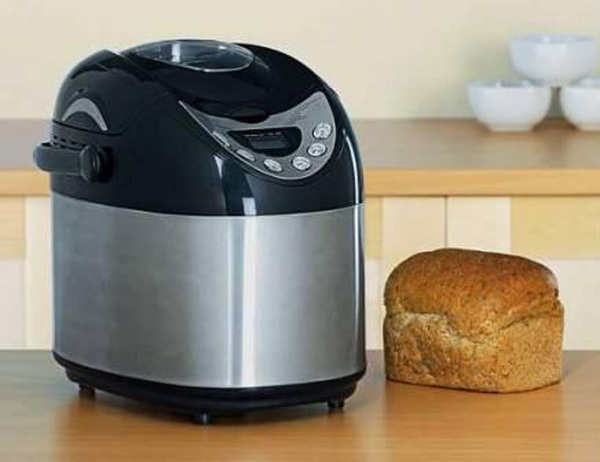 Definitely ask yourself the basic question: why do you actually want a bread machine? Have you seen it in your neighbours´ home? Or do you love the smell of freshly baked bread? Alternatively, do you want to have control over the ingredients that come into the dough? Also, keep in mind the fact, that even though it is a small appliance, it will require some space in the kitchen. Anyway, the most important thing is to choosing an appliance that will suit to the size and consumption of a particular family. However, the current consumption of bread is not necessarily determinative – when you have the warm and fragrant bread, its consumption will certainly increase substantially. So, it depends on whether a loaf of less than 2 pounds will be enough for you, or whether you will need something bigger. Most bread machines work on the same principle. A bread machine consists of a baking tray with powerful kneading beaters or whisks that mix and combine the dough; it is followed by a process of fermentation and baking. At all stages, the appropriate temperature is automatically set. The only thing the consumer is expected to do, is inserting the ingredients in the required order. However, you can make your work easier even here by using some of the dry bread mixes which can be purchased commonly in stores. Just add water then. The cheapest bread makers are sufficient for an ordinary household operation, but a guaranteed quality and a proven brand are more expensive. So it depends on how often the appliance will be in operation and what you expect from it. The more expensive types offer a number of additional features, such as the option of preservation fruit and vegetables and production of jams and preserves. Interesting features include the delayed start function and the acoustic signal. 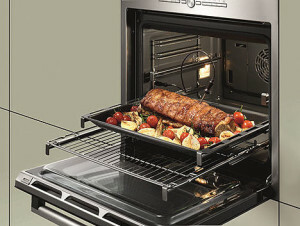 In the first case, the appliance allows you to choose the cooking time, even though you put all ingredients in advance. Specifically, it can be in the evening, while the process of bread making will take place early in the morning, so that the bread will be ready just for your breakfast. The acoustic signal is appropriate in the cases when raisins, dried fruit or nuts are added. Generally, bread makers offer about 13 baking programs. Among others, it is a program for baking only (provided that rising is not necessary), a program for toast bread, programs for classic bread, whole wheat bread or multigrain bread, or a program for rising itself, if you want to make dough for buns, French bread or pizza in the machine. You can also set the degree of browning of the upper crust. If you are a beginner in baking, let yourself be guided by the advice of the manufacturer, who usually attaches some recipes to the appliance. Once you gain some confidence, you can find inspiration elsewhere. It may be on the Internet or in a bookstore, where you can currently get a wide selection of literature with recipes and tips for bread maker users. 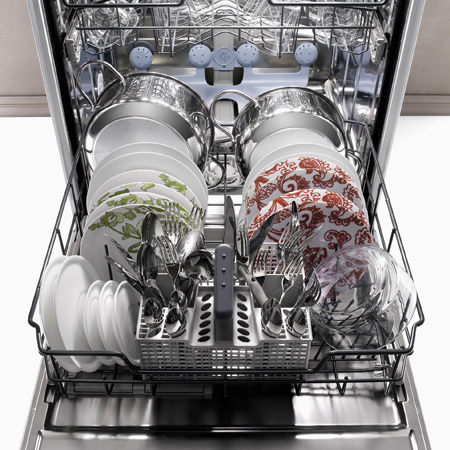 Nowadays, many people cannot imagine their lives without a dishwasher. Apparently, everyday struggle with dirty dishes tires anyone. But did you know that you can use your dishwasher for other purposes, as well? 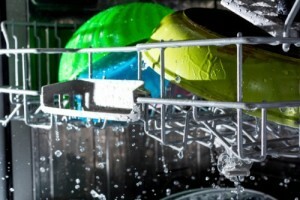 Some of the following tips may seem surprising, while others logic, but you can be certain, that it is really possible to wash all these things successfully in a dishwasher. If you are not among the few people who use a metal dustpan, you can put the plastic tool in your dishwasher without hesitation. It is natural, that you should better wash other similar cleaning utensils at the same time, instead of the dishes. If your boots do not have a textile insole, or if it is a removable one, you cannot go wrong when you put the boots in a dishwasher to wash them. You can naturally wash plastic bowls for dog or cat (or other similar animals) food or water bowls in a dishwasher. These extensions are usually plastic, or they have only small textile strips. Anyway, it should be safe to wash them in the machine. Do you also dislike scrubbing the soap deposits from a ceramic or plastic soap holder in your bathroom? It is no problem, just add the holder into the next batch, when you wash the dishes. Most of sports equipment is made of plastic or it is plastic-coated completely. So if your sports equipment can fit into your dishwasher, you can clean it this way. How often do you clean the glass turntable, which is a part of your microwave? And have you ever thought that you do not need to scrub it, but just insert it into the dishwasher? It quite hard to get these tools rid of dirt and it is easy to entrust them to a dishwasher; water jets do the thorough cleaning for you. Do you have a small plastic container with a lid placed next to a bathroom sink to discard small waste, or do you use plastic containers for storing the toiletries? From time to time, do not forget to put the containers in the dishwasher. Wire bathroom racks are hung on hooks on a wall and they are manufactured to withstand moisture and direct contact with water. Therefore, they should easily stand one washing cycle in a dishwasher. 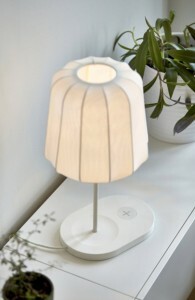 A new collection of furniture and lamps with an integrated wireless charging system for cell phones and tablets was introduced on the mobile technology exhibition in Barcelona. 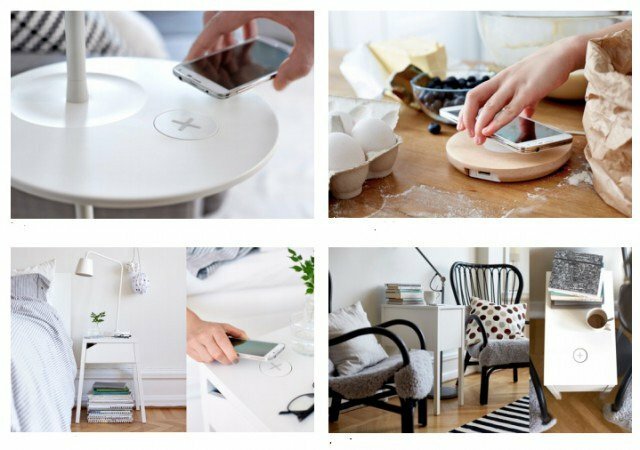 The white and simply shaped tables and lamps are complemented with a separate charging base and a charger, which can be built in to any table. “From a number of surveys, as well as from our visits to our customers´ homes, we have found out that the people do not like a tangle of cables. They are also worried they will not be able to find the right charger at the moment they need it and thus their cell phone will get discharged. 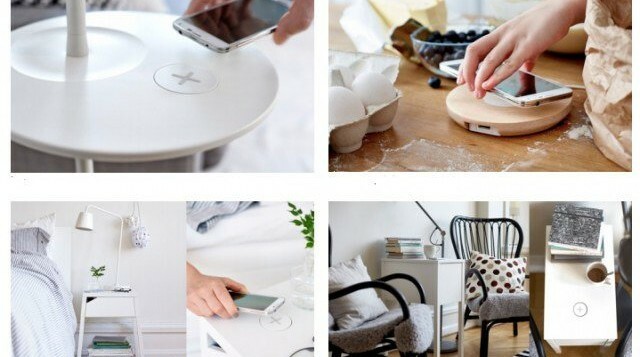 Our innovative solution, when the wireless chargers are directly built-in the furniture, makes the home life much easier,” a manager says. The collection of furniture, lamps and accessories is constructed according to the International Certified Standard Qi. 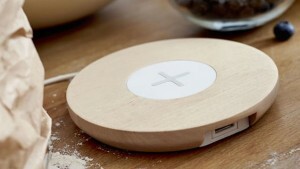 The complex offer includes a pair of tables, a table lamp, a floor lamp, a work lamp, a cable organizer with a lid, separate freestanding charging pads, a USB charger, a wireless charger to mount into a table and a cell phone case for wireless charging (you need to put the case on the phone, unless the phone itself supports this technology from the production, already). In the Czech Republic, the first products from this collection should come up for sale in April 2015. We are not perfect and sometimes we are too busy, so we can forget one thing because of another one. These appliances can make your life easier in the kitchen at least, because they can think for you to some extent. 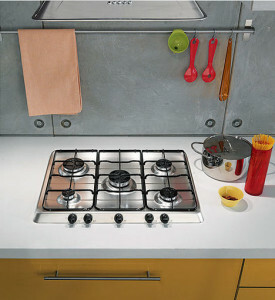 You can find a safety lock on gas hobs, as on the free standing ones and on the hobs incorporated into stoves. The safety lock closes the gas supply off if the flame goes out accidentally. In addition to it, most modern types have an automatic ignition in a button, so you do not need to handle matches or a lighter. 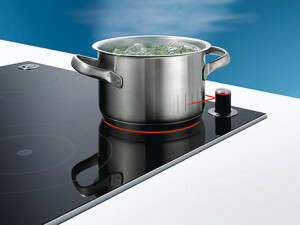 Some ceramic plates offer the function of protection against overflow, which turns the hob off automatically, when a liquid overflows from a pot and gets to the control panel. At the same time, the buzzer lets you know about an accident. The “residual heat indicator” means another handy help, which informs you about higher temperatures of the cooking zone, when the hob is turned off. 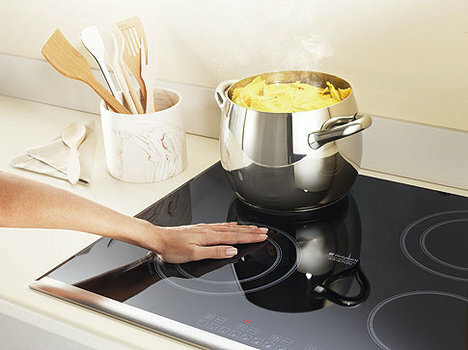 You can find it in induction hobs, too. 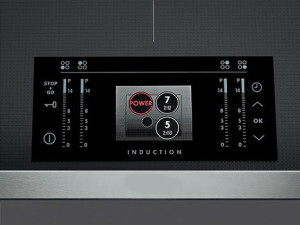 The induction hobs have many security features, e.g. they work only when they detect the presence of the correct container on the surface. Each zone is activated only if the container has adequate size and if it is magnetically conductive (so it does not start heating when you lay your glasses or a ladle on it by mistake). And finally, the hob is not so hot during cooking to burn you, if you touched it. From a number of cool things, we can mention the “cold door” function, when the door does not burn you, however clumsy you were (e.g. the temperature of the oven door, with the function of the dual air control, does not exceed 35 ° C). The function of pyrolysis is also very helpful. It is an automatic cleaning, during which the door is blocked, so that it cannot be opened by mistake. The telescopic rails are very practical, so you do not need to worry about a roasting pan accidentally slipping out on the floor, or even worse, on you. And as to the timer, it controls the time needed to prepare a meal. 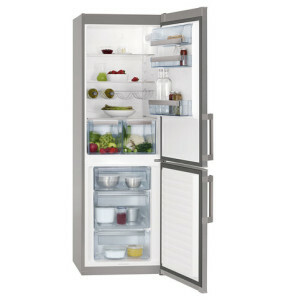 Does it ever happen to you, that you do not close the refrigerator door fully, or even completely? With the acoustic or light warning signal, you will be informed. The appliance will alert you in the same way, if the internal temperature increases, which may occur e.g. during a blackout. 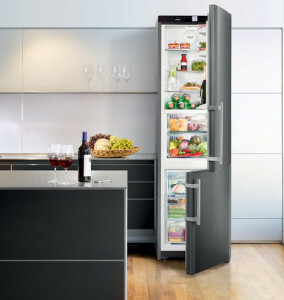 These are some of the clever features used in modern refrigerators and freezers. You can hardly forget the ice build-ups inside it, but you can be too busy or the fridge may be full of food at the moment. This problem will disappear when you purchase an appliance with the “automatic defrost” function. Moreover, it will save your money, as the system prevents energy losses that occur because of the ice build-up. Are you afraid to turn the dishwasher on and walk away, because something might happen with it? The dishwashers are, however, equipped with a safety system, which can interrupt the water supply form the mains in case of overfilling with water. Furthermore, there is one more security element: a filling hose with double coating, which cannot crack due to the wear or because of excessive pressure. The “child lock” can block the appliance so that no one can turn it on by mistake, or it changes the settings during use; this function is used in hobs, ovens, microwaves and dishwashers. Certain appliances, such as dishwashers, offer a “double child lock”, which does not allow opening the door, as well. Many small appliances are also equipped with the functions that think for you to some extent. For example, toasters with quartz glass and a temperature sensor regulate the time of toasting, so you do not burn the toast. 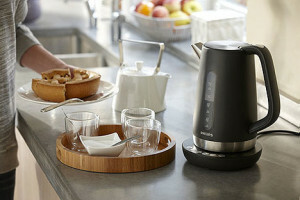 Electric kettles can have the function of maintaining the water temperature for up to 30 minutes. So when you forget the kettle during the morning rush for a few minutes, you do not have to reheat it. Nowadays, household appliances are so effective that it is not difficult to choose one. But how about in case, you need to pay attention to every inch of space in your home? Can you find a quality appliance then? The answer is – yes, you can. However, the offer of Slim (narrow) appliances is not so wide. The washing machines and the dishwashers are the most common Slim appliances. Broader talking, there are also other kinds of space-efficient appliances that are commonly referred to as “compact appliances”. These include microwave ovens, steam ovens or conventional hot air ovens, as well as two plate cooking hobs, or even Slim coffee machines (espressos). There are also certain types of refrigerators and vacuum cleaners that occupy less space. On the contrary, you cannot find a tumble drier in the category of Slim appliances, and the offer on the washer-dryers combos is limited, as well. 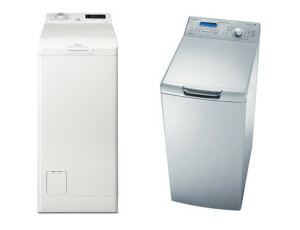 “The Slim washing machines with the front filling have a depth of 33-47 cm, while the standard depth is 50 cm and more. As to their functions and programs, they offer the same user experience as the standard washing machines,” a salesperson says. Another way of saving space is offered by the top filled washing machines, which are 60 cm deep and only 40 cm wide. The Slim appliances are designed especially for apartments, where is not enough space for a standard sized appliance there. 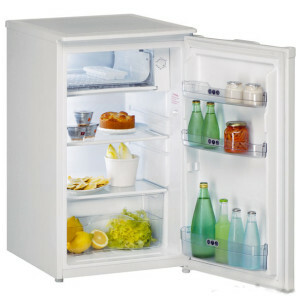 This holds for the refrigerators, too, with a “Slim” width of 50 cm and a standard width of 60 cm and more. Their main, but only advantage is saving the space. The narrow dishwashers are 45 cm wide and can hold 9-10 cookware sets, while the standard dishwashers (60 cm wide) can accommodate up to 15 sets. 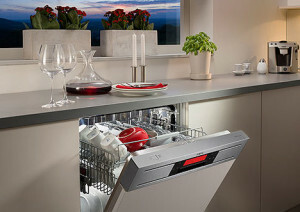 There is a smaller capacity, too, but the narrow dishwasher is functionally comparable to the standard one. And how about the situation, you do not have even the spare 45 cm in your kitchen? On the market, the table dishwashers are also available, and because of their small dimensions, they are reminiscent of a bigger freestanding microwave oven. Anyway, they are sufficient for smaller households, as they can hold about 6 sets of dishes. However, you can find this design only on dishwashers. 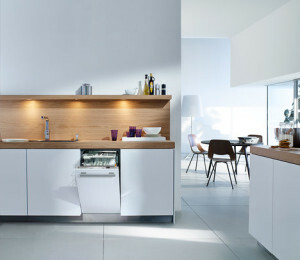 There are refrigerators available with the height of only 85 cm which correspond to the height of a worktop, but they are wider and the foods are kept in the drawers inside. And how about other appliances? You can purchase them in a compact size, e.g. 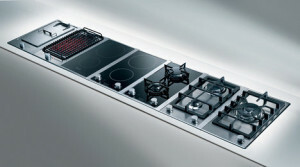 a two plate cooking hob with the dimensions of about 30 x 51 cm, as well as compact built-in ovens, microwave ovens, wine coolers or coffee machines, all with the height of 45 cm. And if it seems too much to you, you can look for the real “thin” freestanding versions. We have already explained that you cannot find any significant functional difference between the traditional large and the Slim space-saving appliance. But how about the power and the water consumption, are they the same? 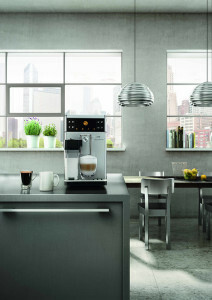 Or can the Slim appliances be noisier or maybe harder to maintain? The experts assert, that there are no other pitfalls, expect for the smaller capacity mentioned above. And small things are beautiful, aren´t they? 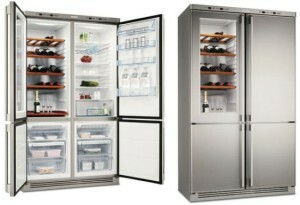 In addition to its basic function to cool or freeze the stored food, modern refrigerators offer something more. You can choose which of the other features or the technical solutions can come handy to you. The purpose the technological enhancements is to create the very best environment for your stored food, although the saving of energy and time is practical too, in the case your appliance does not require to be defrosted. There are various types of motors. For example, an inverter motor is better than the classic one. The classic motor transmits electricity to the rotor by the carbon brushes, which wear out and must be replaced. Contrariwise, the inverter motor is controlled directly electronically and it does not use the brushes, which proved to be a more practical solution for several reasons: the refrigerator works well but with the minimal power consumption and it is virtually silent. The standard refrigerators have the direct cooling. In practice it means, they need to be defrosted after some time, otherwise the ice sheet would increase the consumption of energy. 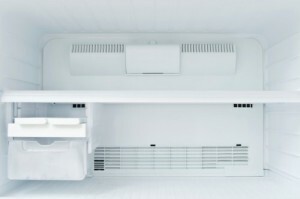 Conversely, an appliance equipped with “No Frost” technology maintains a constant temperature, so the refrigerator or the freezer does not need to be defrosted. You can compare it to the “Low Frost” technology that promises to lower the frequency of defrosting; the frost forms, but to a lesser extent, so it does not need to be defrosted so often. 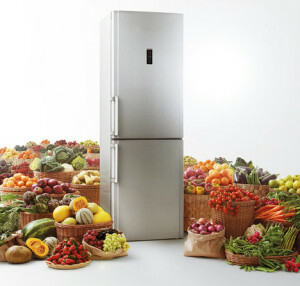 Manufacturers use various technologies to keep the stored food fresh as long as possible. For example, the “BioFresh” function guarantees an exact temperature just above 0 ° C, so that the food does not get damaged by the frost. In turn, the “Active Oxygen” technology regularly releases ozone into the interior of the fridge, which helps to reduce the spread of bacteria, microorganisms and the unpleasant odour significantly. The “IonAir” technology also helps to kill bacteria and to maintain the ideal humidity. What Is the Circulating Air Good For? You certainly know, that the air is warmer at the top of the fridge than it is at the bottom. That is why some manufacturers equip their appliances with inside fans. The fan distributes the cold air throughout the refrigerator so that the temperature is constant everywhere. Another solution relies on air channels, which distribute the air inside, too. As a result, the food stored in the upper compartments will remain in perfect condition longer. 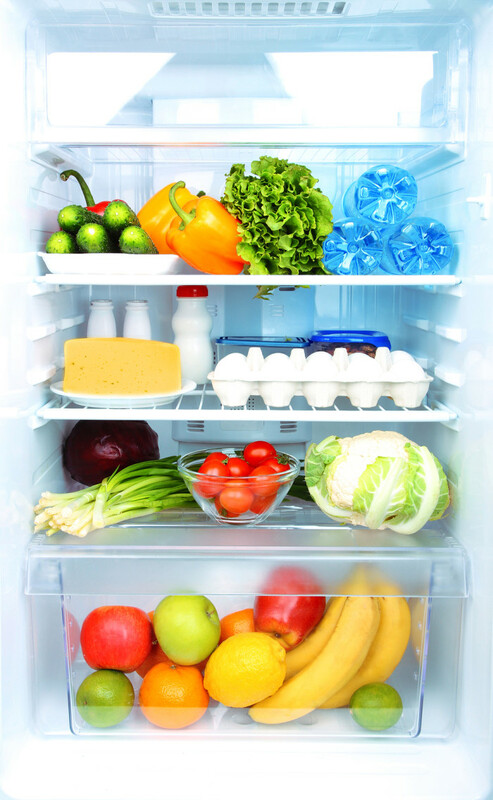 If you often put a larger quantity of fresh food in your refrigerator, the function that cools or freezes them quickly could come handy to you. With it, the temperature inside the appliance does not unnecessarily, though temporarily, increase and the previously stored food do not warm up. The function has various names, such as “Coolmatic /Frostmatic” or “Super Cool/Super Freezing”. Typically, there is the temperature of about 5 ° C in a refrigerator and e.g. 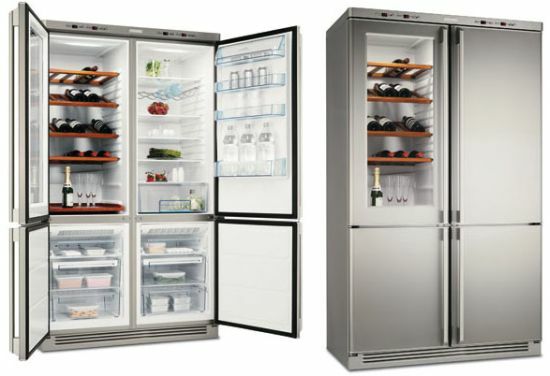 the meat needs a storage temperature of around 0 ° C, or the vegetable need a slightly higher temperature (according to its type) from 2 ° C to 10 ° C. That is why the interior of the refrigerator is designed with the “zero zone” at the bottom, where the low-temperature drawer designated for meat and meat products is placed. The box for vegetables is placed above it and the rest of the foods should be stored in the higher compartments. 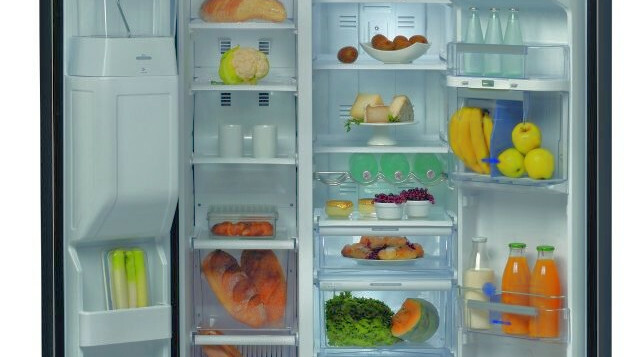 Lower temperatures are maintained in the lower part of the refrigerator. 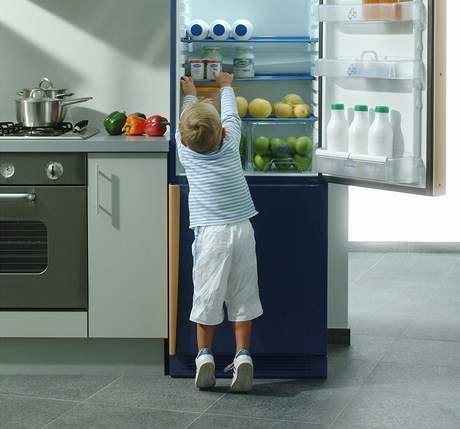 If the fridge is equipped with the special drawer, the function may have various names for different brands, such as BioFresh, VitaFresh or PerfectFresh. Some manufacturers offer an antibacterial surface of the fridge or a gasket to prevent the bacteria and microorganisms from growing. The purpose is to keep the food in a perfectly clean environment. 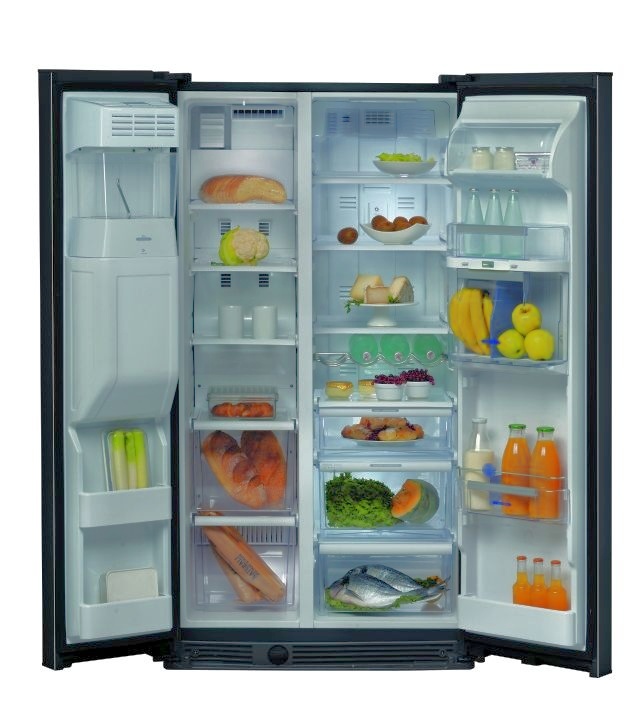 To work well, the fridge needs to maintain the optimum conditions both of the temperature and the humidity. But you disturb them by the normal operation, i.e. by opening and closing the door. 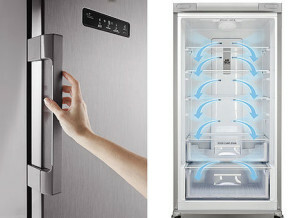 However, if the appliance is equipped with the function “Multiflow/MultiAirFlow”, the fridge responds immediately and recovers its internal environment as desired. The standard white fridge typically includes a classic motor, an adjustable thermostat, glass shelves and a classic light. The “No Frost” stainless steel fridge is more expensive. The extras generally include the special antibacterial surfaces, an inverter motor, the “Active Oxygen” technology as well as other enhancements mentioned above. The prices vary, but the rule is, you always pay more for the extras. How to remove dust from the TV screen, computer monitor and form other electronic devices? If you do not want to damage them, do not grip the tissue and the window cleaner any more. We are going to tell about the correct procedures. With most home electronics, it is not worth experimenting or using products with a different purpose, e.g. a window cleaner. If you do not want to make more harm than good, you should follow these recommendations. You definitely should not use anything else then pure water and special detergents on the monitors and the TV screens. The market offers various kinds of sprays and kits for cleaning of the “black electronics” including the TVs, LCD displays and the PCs. There are also the special wipes or a very good “Swedish Cloth” with microfibers. First of all, remove the dust from the screen. Brushing or blowing with a cool air stream are the gentlest methods. You should not blow on it with your mouth, as you could splutter on the surface. If you want to use water (ideally distilled one, as the experts say), use only a very small amount and not directly on the screen (which also holds for the special cleaning liquids). Dampen a cloth with water and do not apply pressure when wiping the screen. Use a very soft microfiber cloth dampened with lukewarm, ideally distilled water. Never substitute the microfiber cloth with a paper towel, toilet paper or a normal cloth. 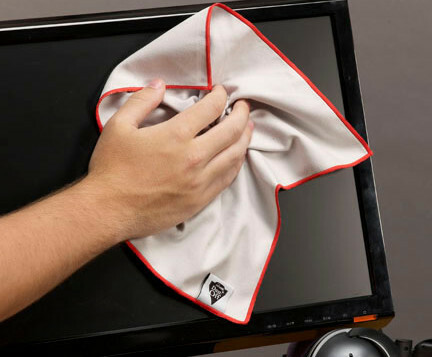 Start the cleaning only when the TV is turned off and cool completely, as streaks always remain on a heated screen. It is best to unplug it before cleaning. 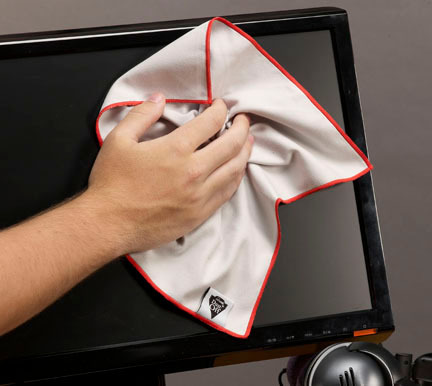 If you want to clean a screen or a monitor, special cleaners as well as an antistatic cloth are necessary, as the antistatic cloth helps to prevent dust from accumulating. When you buy a TV from a higher model series, an anti-static cloth is included. It is made of non-woven material, which prevents the adhesion of fibres to the screen. Cleaning the plastic parts of the appliances, i.e. their “boxes” is easier; you just need a soft damp cloth with a very thin solution of dishwashing liquid. However, it only applies to hard gray plastics. The shiner the plastic is, the more care it needs to avoid visible streaks from forming. The products designated for shiny plastics are available on the market, you can get them e.g. in the motoring equipment stores because they are often found in the car interiors. On plastics, particularly on the shiny kinds, do not use any abrasive products which might scratch them. Whenever you use the wet treatment, you need to polish the surface dry completely. In addition to surface cleaning, the CD and DVD players also need an occasional cleaning of the mechanics, which get clogged with dust. It can cause skipping of the CD and a poor playback. To clean the mechanics, you can buy and use a cleaning CD. If it does not help, you should better have it cleaned by a specialist technician. Speaking of players – it is good to clean even the discs occasionally, which means simply wiping them with a microfiber cloth. Avoid polishing them with your sweatshirt or our trousers as you could scratch them. You can also use a cleaning spray or other detergents to clean the discs. First, disconnect the keyboard from the PC or turn the laptop off before attempting to clean it. Then turn it upside down and blow the dirt with a stream of air out. Rinse the individual keys with a cloth or a tissue with a drop of dishwashing liquid, but the cloth must never be dripping wet. The special cleaning products are available as well, such as a special “modelling clay”, which you press between the keys thus removing the dirt. You can also use a small brush. 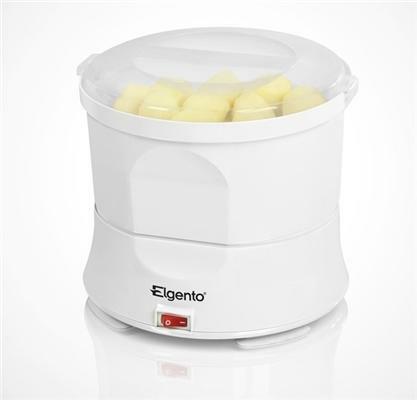 Are you tired of arduous peeling of potatoes or grating cheese? You need not to be. The modern kitchen equipment will do these jobs for you in a flash. Pamper yourself with the new kitchen helpers! A day spent in the kitchen preparing a great food can be romantic, but you do not always have so much time. Even the ordinary opening of a tin or grounding fresh spices can seem stressful and lengthy for you. So why not to make the work easier, sometimes? The kitchen gadgets can “save” you, when you are in a hurry. Do you prefer freshly ground spices, or do you rather buy them? If you want to really enjoy your food, nothing compares to the freshly ground spices. Their aroma and flavour are the most intense immediately after the grinding and so they last for a few following minutes. 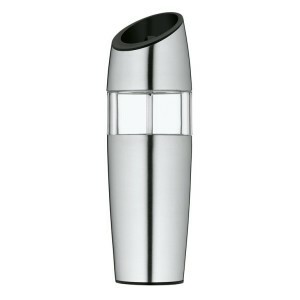 The hand spice grinder has its charm, however the electrical one can handle much more. 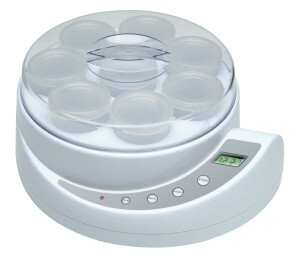 You simply tilt it to one side and it grounds the very amount of spices you need. So adding spice to your meals will be even faster than reaching for the bag, you have bought. Would you like an automatic or an electric grater? Anyway, with these devices you need not to exert any strain and handling them is safe. Both have powerful motors and solid removable graters, which can cope with both soft cheese and hard nuts. They shred the foods in a moment and some of their parts are dishwasher safe. 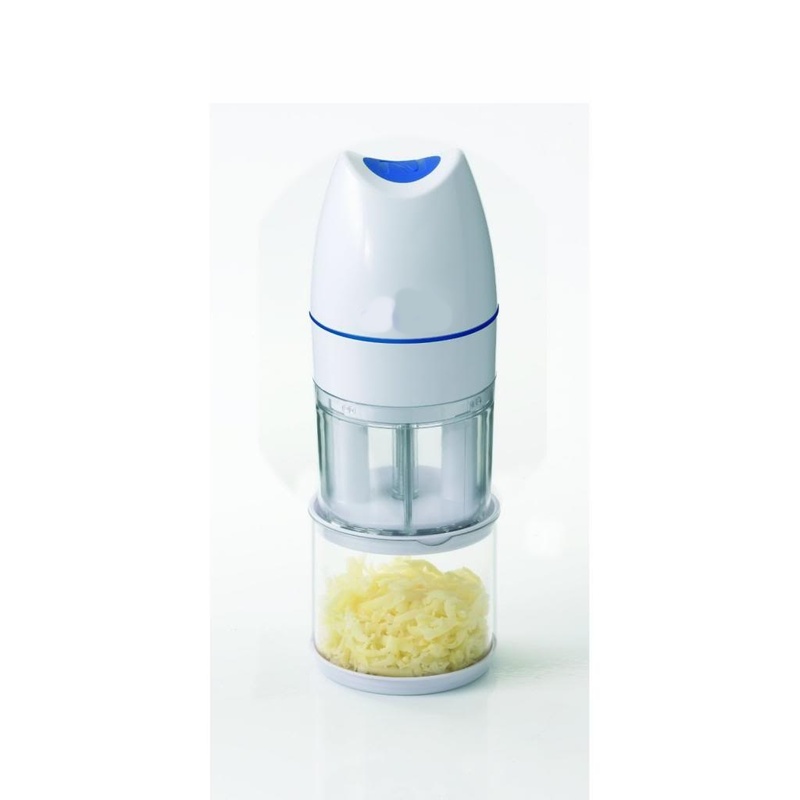 The electric grater has also a cordless operation and it is powered by a rechargeable battery. The automatic grater works only with AA batteries. And if you want to make homemade breadcrumbs, you can use any of the two graters. The vitamins found in the fresh fruit cannot be replaced by any other form, however effective they may seem. Nor can the necessary amount of vitamins be found in citrus juices, though there are reportedly full of them. But in citrus fruits, they are plentiful and, moreover, there are no preservatives or artificial sweeteners. But who is willing to squeeze quantities of oranges only because of vitamins every morning? 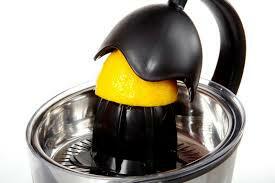 The electric citrus press can squeeze citruses quickly and without effort, so it is suitable to every home with kids. It is not completely silent, but it squeezes the oranges to the last drop. 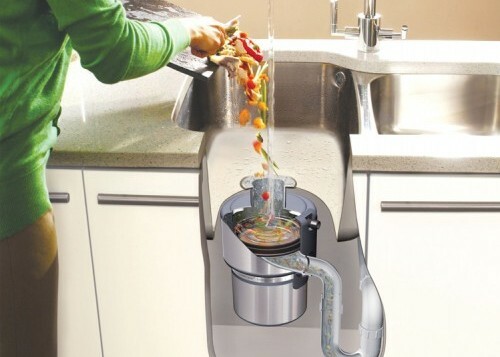 It is designed for squeezing of halved citruses and it turns on automatically, when you press the citrus to the surface. Can you peel 1 kg of potatoes in 2 minutes without getting your hands dirty? The electronic vegetable peeler can do it. In addition to potatoes it can peel other root vegetables in the same short time. Just put 1 kg of raw material and a cup of water into the container and it will be peeled in just 2 minutes. The peeler can handle every size of produce, but sometimes it is necessary to finish cleaning the vegetables by hand. This device is appropriate for larger families. 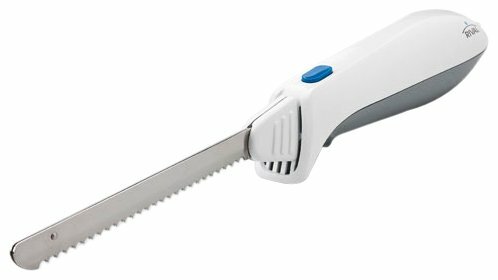 The electric knife is capable to cut raw, frozen, boiled or roasted meat, cheese, bread, vegetables and many other foods in a few seconds. It can cope with fresh and old baked goods alike as well as with hard pie bases. The vibrating blade of the knife moves fast enough not to crease the sliced bread, so a single crumb will not be wasted. The blades are very sharp, so they should never get into kids´ hands. You can purchase a stand for the electric knife, too. There are also wireless electric knives on the market, whose batteries are recharged via the stand. If you have had the opportunity to taste yogurt on a farm, you know that it cannot be compared to regular yogurt from a department store. The homemade yoghurt is authentic and genuine, it has an inimitable taste and typically it does not contain any synthetic flavours or preservatives. However, you do not have to go to a farm to taste yogurt like this, as you can make it right in your kitchen. A simple yoghurt maker prepares more than 1 l of yogurt in just 6 hours. 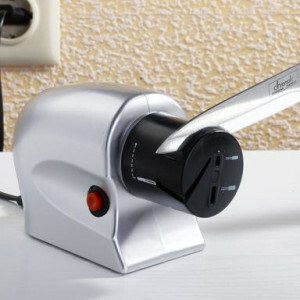 A knife sharpener is suitable into every kitchen. Whether you use knives often or hardly at all, every knife becomes dull during the time and the sharpening steel is not be sufficient to sharpen it. The knife sharpeners can sharpen knives with smooth and wavy blades alike by means of diamond discs. Some types of sharpeners also polish knives thus increasing their lives. For a normal household, the cheapest sharpener is sufficient.